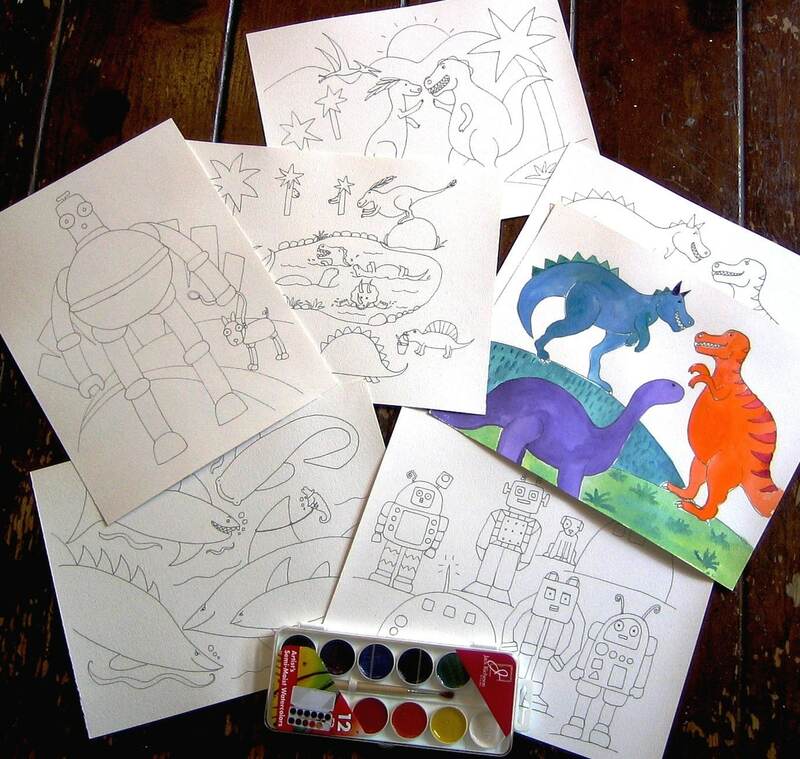 Watercolor Painting Pack for kids featuring Robots, Sharks, and Dinosaurs...on the whimsical side. Designs are printed on fine quality 8 1/2 X 11" 140 lb weight watercolor paper, ready to paint, in the lines or outside the lines, wild and free. Lines will show through no matter what style the artist uses. Kit also includes a set of semi moist watercolor paints, 12 colors, and a brush. Paints are non toxic. Paint pack is fun for kids of all ages (3 and up) and a great way to enjoy and experience watercolor painting.